In this fast moving world, we need to keep pace with the young minds by introducing innovative ways to capture their imagination, engage their attention, harness their potential and come up to their expectations. Keeping the above facts in mind, this new series A Textbook of Geography for Classes 6, 7 and 8, endeavours to introduce the practical aspect of the subject, along with the text, through appropriate Diagrams, Pictures, Maps, Mind maps (graphic organisers) and latest updates in the field of Geography. The books of this series are specially designed for the young learners to make the learning experience both pleasurable and informative. 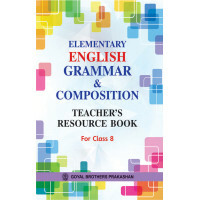 These books have been written in strict conformity with the latest syllabus prescribed by the Interstate Board for Anglo-Indian Education, which has been recommended by the Council for the Indian School Certificate Examinations (ICSE), New Delhi. 1. The language has been kept simple and lucid. The focus is on simple explanations in lucid language. 2. To the point matter is given to avoid unnecessary details, a special feature, and requirement of ICSE Curriculum and Examinations. 3. Maps and diagrams have been kept simple and clear. 4. In most of the cases, separate maps have been given for different types of information instead of putting several types of information on the one map. 5. Map skills in regional geography play an important role in understanding the subject as well as lay foundation for the future ICSE Board Examinations. These books strive to lay the foundation for map pointing from 6th class onward to achieve perfection in the ICSE examinations. For all the continents covered in Classes 6, 7 and 8 syllabus, Self Explanatory Colourful Maps with consolidated information have been given. For the convenience of the students and teachers,Practice Maps (with rivers) have been provided as per the ICSE norms. 6. Colourful Mind maps at the end of each lesson, give the gist of the lesson at a glance and are ideal for a quick revision. 7. Worksheets under Classwork have been introduced to comprehend the lesson.These are to be solved under the direct supervision of the teacher. 8. Comprehensive Exercise at the end of chapter contains all types of questions to consolidate learning. 9. A chapter has been given in each book with special focus on Environmental Education. 10. A sample project based on suggested assignments has been given to facilitate the students in Project Work/Activity. 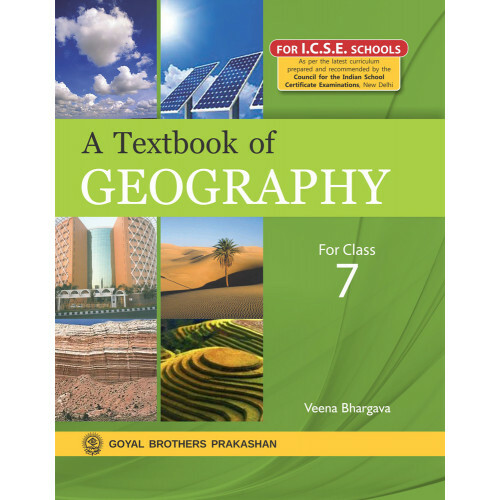 The present set of books for classes 6, 7 and 8 is a continuation of my existing series of ICSE Geography for classes 9 and 10. This is a genuine effort to maintain the continuity in the ICSE syllabus from Classes 6 to 10 and prepare the students for the oncoming Board Examinations, right from class 6 onward.